For nearly 100 years, the Junior League of Birmingham (JLB) has been a source of constant support in the Magic City. Dating back to 1922, the now-2,500-member League has actively supplied volunteers to some of the city’s greatest needs. From volunteering during the throes of the Great Depression and World Wars, to pioneering community projects, to proffering annual community endowments — the League has played a part in it all. Staying ever true to its mission of “improving the community through the effective action and leadership of trained volunteers,” the League continues to give back to the Birmingham community. 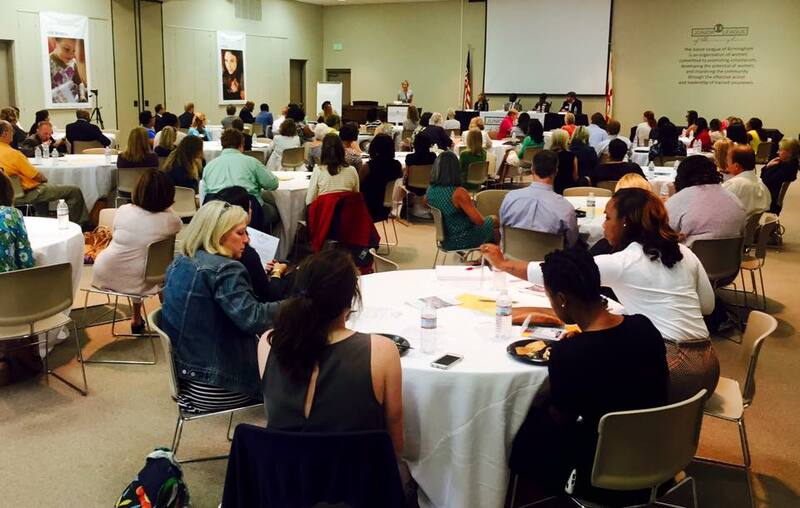 This League year, JLB has hosted a series of community roundtables on important issues that matter to Alabamians — a possible Alabama lottery, legislative issues including Medicaid, predatory lending, prison reform, as well as race relations. The League took on the topic of race relations back in August, following a Pew Research Center report on the state of race relations in America. For JLB leaders, the report served as a stark reminder that the issue of racial inequality is just as urgent as ever. They hosted the event as a way to hear from community leaders to discuss racial matters affecting the community and ways to heal. “Discussion of police interactions with minority communities; institutions and interpersonal racism; and ‘safe spaces’ are dominating popular literature, film, television, talk shows and newspaper column inches. It seems everyone, everywhere, is talking about race in some capacity. The issue of racial inequality is truly not a trendy issue; it is an entrenched issue,” said a JLB press release. The roundtable, which was open to the public, featured panelists Joan Witherspoon-Norris, director of social justice at the YWCA; Lyord Watson, a preacher and philanthropist; Marquita Furness Davis, executive director for the Jefferson County Committee for Economic Development (JCCEO); and Hill Carmichael, the director of Urban Ministry. Little over a month later, JLB hosted another roundtable on the hot-topic issue of a possible state lottery. There, the JLB encouraged leaders from across the state to discuss the current legislation in Montgomery surrounding the lottery and how it would effect our state and the local economy. Panelist included Joe Godfrey, Executive Director, Alabama Citizens Action Program; Nat Winn, Jr., President and CEO, Greenetrack; as well as Stephanie Bryan, Tribal Chair and CEO for the Poarch Creek Band of Indians. JLB chose to tackle the topic immediately after a proposed constitutional amendment to allow a lottery in the state of Alabama died in late August in the state Senate. Gov. Robert Bentley had proposed the lottery to help fund the state’s budget shortfall. 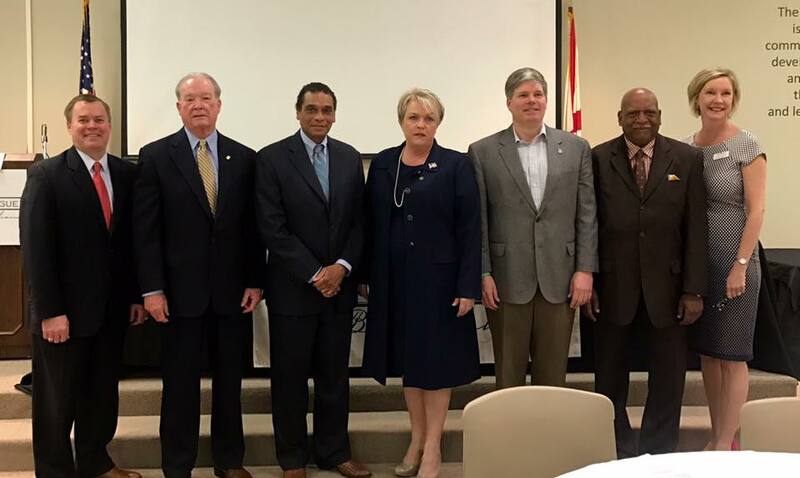 Earlier this month, the League held its third roundtable of the “League year,” which annually spans from June-May, where they took a look at issues being discussed in the current legislative session of the Alabama Legislature including Medicaid, predatory lending and prison reform. Guin Robinson, Director of Community Outreach, Jefferson Community College, moderated the panel and discussion, which featured several members of the state legislature including state Reps. David Faulkner, Connie Rowe, Rod Scott, Rodger Smitherman and Jabo Waggoner. This particular roundtable, open to the public, became heated as voters starting shouting at the panel over the fact the Legislature has not raised the state’s minimum wage as well as Gov. Robert Bentley‘s prison construction plan.